The lowest price of Philips QT3310/15 USB Charging Trimmer For Men ( Black ) is at Amazon where is it is for INR 1030. This price is INR 615 lower than the other price for the product. The prices for the product change across variants. 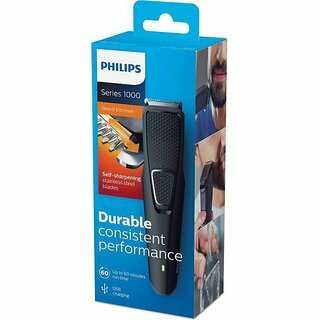 The price for Philips QT3310/15 USB Charging Trimmer For Men ( Black ) is valid across Bangalore, Hyderabad, Chennai, Mumbai, Delhi, Pune and Kolkata. The Philips QT3310/15 USB Charging Trimmer For Men ( Black ) is available at best price of INR 1030 on Amazon. 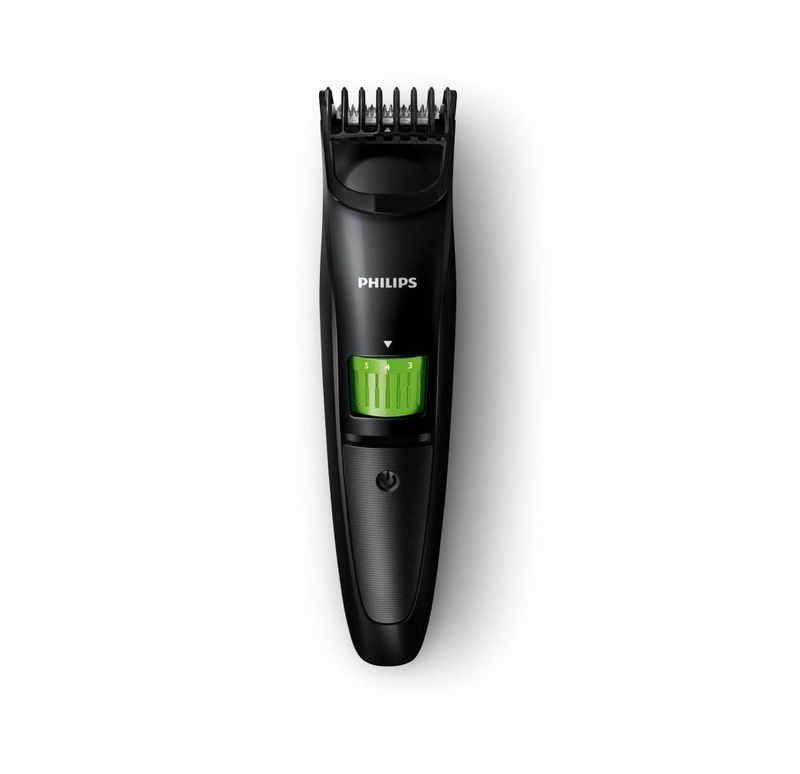 Other Features Long lasting, 30 min cordless use, "Skin-friendly blades, "10 length settings "
Warranty Type 2 Years Philips India Warranty and Free Transit Insurance. Philips India Warranty and Free Transit Insurance. Received the trimmer today for FREE through "Flipkart Core Review Program". The MRP is INR 1595 but it dosent matter for me as I got it for FREE. Why going out with a clean shave ???? Give yourself a new look. It has 10 lock-in length setting. 1 mm - 10 mm. A little bit time consuming but at the end it gives you a manly look. Easy to hold, clean and use. Comes with USB charger and 2 year world wide warranty. A skin friendly trimmer. No burning or itching after you use it as trimmer has skin friendly rounded tips for smooth skin contacts. Comes with a guard that allows you to trim evenly or precisely when using the length setting at higher range i.e 4 mm - 10 mm. The small brush which comes with the trimmer helps to clean the trimmer after use. The only thing that I didnt like is the length of the USB cable...too short. No matter you have hard or soft beard ... it works perfectly. Before this I use to be a clean shave guy but now I decided to to give a second thought. At least one should use this on holidays as it is going to give you a rock stunning handsome look with your casual wear. Dont know how to thanks Flipkart but at least I can say THANK YOU. GOING TO ENJOY THIS PUJA WITH THIS GIFT OF YOURS. 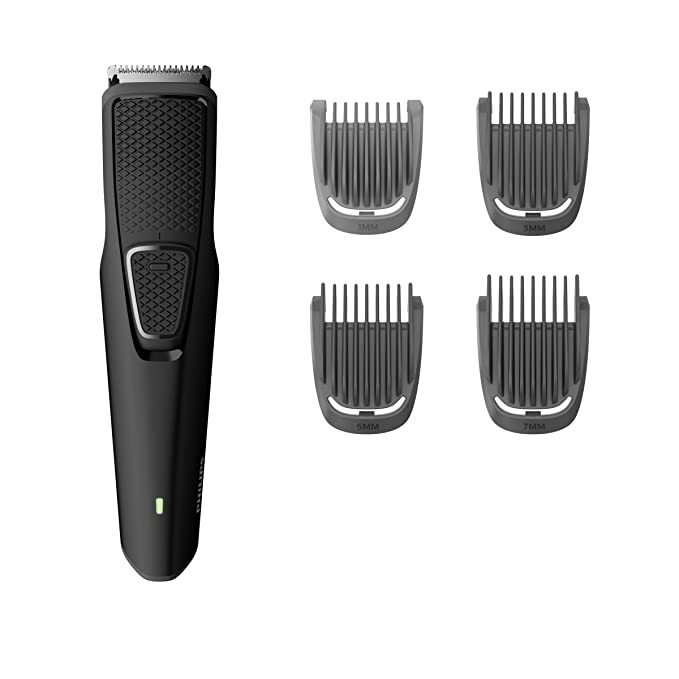 BEST Trimmer for men. philips.